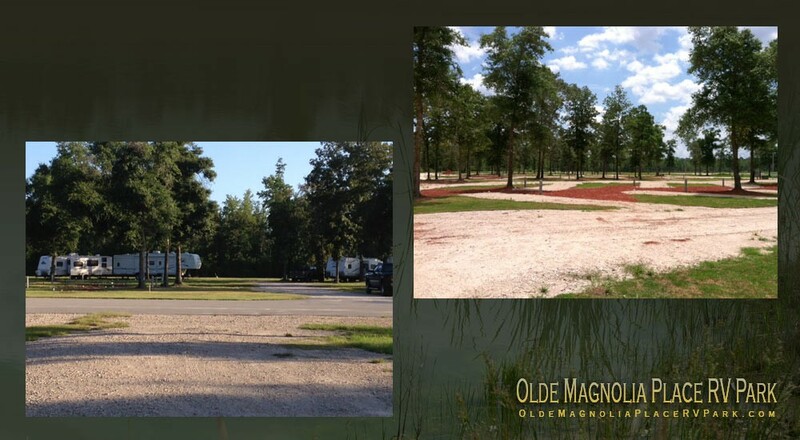 Nestled in the quiet countryside located on 65 acres on Hwy. 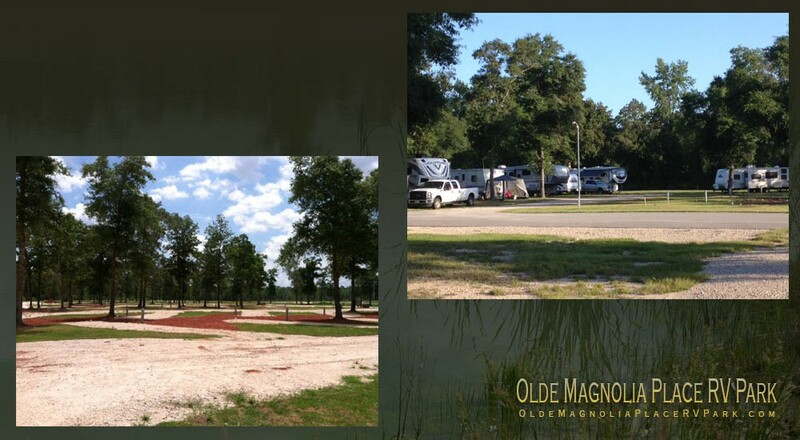 105, between Conroe and	Cleveland, Texas, is located a new R.V. 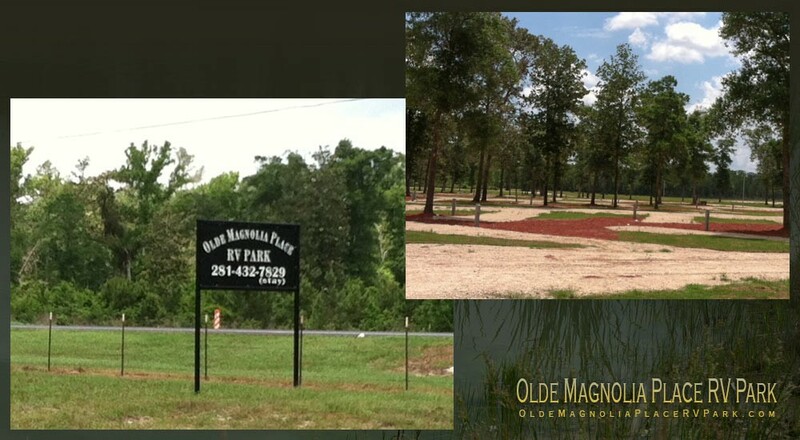 Park called OLDE MAGNOLIA PLACE R.V. PARK, unlike any other. It is family owned and designed with much thought and care of enjoying a month or a lifetime in a natural country atmosphere. 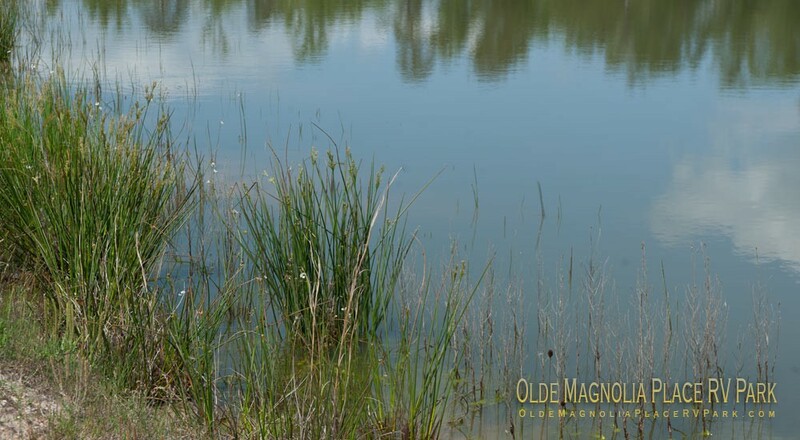 You might want to fish in the stocked pond located on site, just a few miles from two bustling cities. Or, you could drive just 2 miles on Hwy. 105, towards Conroe and shop our family owned 46 acre indoor and outdoor flea market we established in 1985, OLDE SECURITY SQUARE FLEA MARKET.com. You can find anything you need and definitely anything you want. So come and visit us because we know you will love OLDE MAGNOLIA PLACE R.V. PARK. !!!!! !